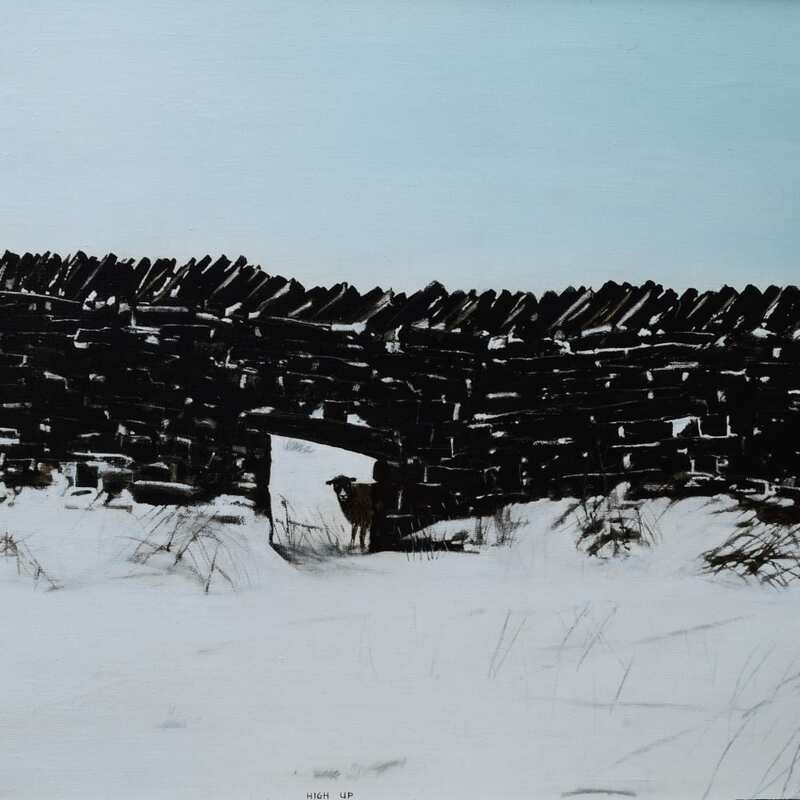 Brook’s subject matter remained consistent throughout his life – his Yorkshire home - the factories, stone built houses, dry stone walls, men, dogs and sheep who lived and worked on the land. When teaching, he would sometimes take pupils out to draw the surrounding country saying: 'if you want a subject, look around you'. He initially used thick paints to create his work, but seeking a way to achieve the effect he wanted, he began to mix very fine sandstone from a nearby quarry into the paint to give his buildings more substance and which contrasted with his smooth sky lines. Later in his career, he moved on to thinner paint with smooth finishes using rags, rollers, wire brushes or his fingers to add depth and interest.